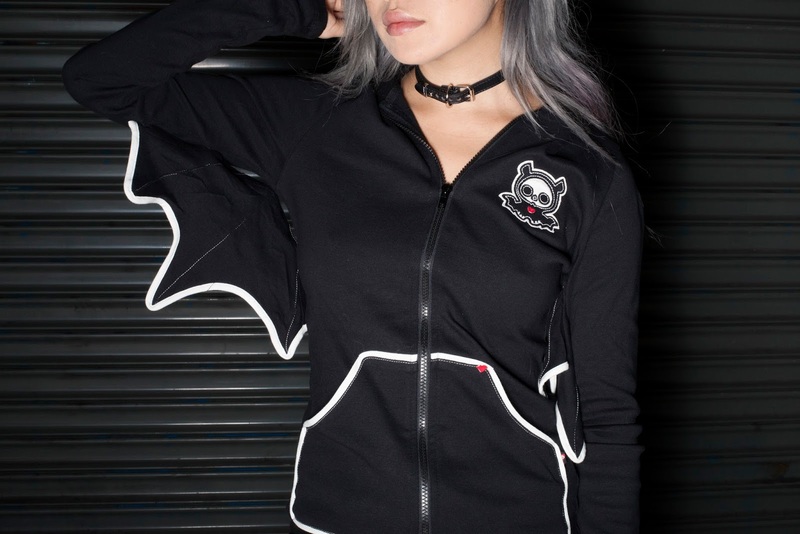 Skelanimals sent me this literal batwing hoodie right around Halloween time, but I didn't get to shoot it until now. Halloween lives forever for us spooks *insert ghost emoji*. This, coupled with my recent Hot Topic modeling gig, shows me I'm reallyyyyy living out my teenage dreams right now. Check back to see more photos from my Hot Topic holiday campaign! Whaaat! That hoodie is adorable, the 14 year old self in me needs one asap! That's so cool! You're so lucky that companies want you to model for them.